December 2015 may mean another Christmas is on the way, but something much rarer is also happening, a new Star Wars film (and hopefully one that is not rubbish). To celebrate, Disney Infinity 3.0 is releasing a Star Wars: The Force Awakens Play Set to coincide with the film. A new trailer gives fans a taste for the expansion. 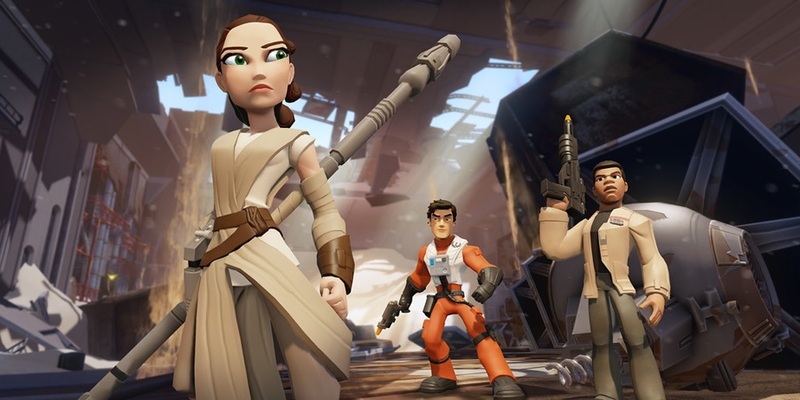 Join us for the next chapter of the Star Wars saga in Disney Infinity 3.0. In the Star Wars: The Force Awakens Play Set, players will travel to a galaxy far, far away alongside new heroes and old friends in search for a much-needed ally. Playable characters include Finn, a soldier on a path to adventure and danger, and Rey, a true survivor who is resourceful and capable. Both will join Poe Dameron, the trusted pilot of the Resistance who uses his expert flying skills to travel the galaxy, and Kylo Ren, an enforcer for the First Order who terrorizes the galaxy with devious acts. Disney Infinity 3.0 is playable as 2 player co-op either online or offline. The new Star Wars pack is due out later in the month, but the core game is already available on PS3, PS4, 360, One and Wii U. Page created in 0.5211 seconds.